There is no need to be so sad at all. I would like to tell you a basic acknowledgement of data loss issue: these lost files are inaccessible on your laptop hard drive before new files overwrite them. 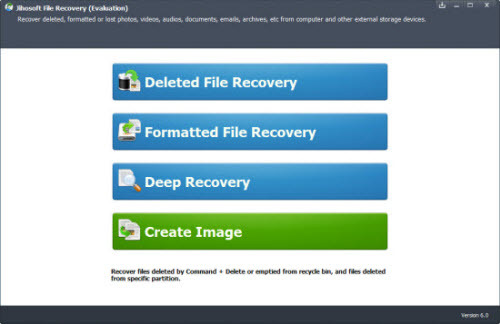 This makes it possible to recover data from laptop as long as you act quickly enough. UFUSoft Laptop Data Recovery (or Laptop Data Recovery for Mac) is compatible for almost all Windows laptop brands and Mac models, including Dell, Sony, Toshiba, Lenovo ThinkPad, Macbook Air, Macbook Pro, etc, which will be at your service if data lost from your laptop because of formatting, deletion, system error, hard drive crash, virus infection, This amazingly designed data recovery program is capable of retrieving photos, videos, audio files, documents, emails and many other file types from your laptop’s hard drive. 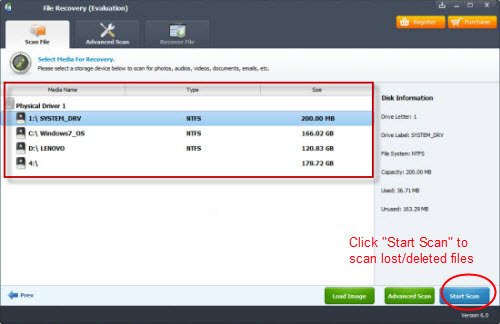 With it, you can not only recover data from laptop, but also external hard drive, usb flash drive, memory card, etc. Double click the installation package to install the program on your laptop. Run it, then on the main screen, select the file recovery mode you want. All the internal & external drives will be detected by the program and be listed on the left panel. Select and check the drive that you want to recover files from laptop. Check the files you want to recover on laptop, then hit right-bottom “Recover” button to start the file recovering on laptop process.